Centurions comic was published by Manchester based London Editions, who shared offices with World International Books. It was based on the hit toy range by Kenner-Parker Toys, Inc. from the USA and the accompanying TV cartoon series by Ruby-Spears Enterprises. By the time Tim was involved with the comic it was issue #6. It had covers by Irish comic artist, Will Simpson. 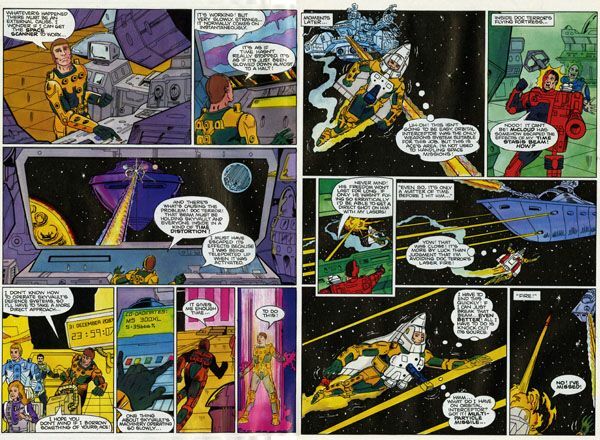 Will and Tim also worked together at Marvel UK on the Transformers comic. Work had started to go a little slower for Tim over a period of a few months, until he decided he needed to look elsewhere for work as well as with Marvel. Spotting a comic in a nearby newsagent he decided to buy the magazine and give the company involved a call. The storylines were fast and quite simplistic, but fun to work with. Tim worked on the comic until it sadly ceased publication following issue #10. The main characters were three man, Ace McCloud, Jake Rockwell, Max Ray, a girl, Crystal Kane and an intelligent Orang-utan called Lucy, and Jake's dog Shadow. Their adventures took place in the 21st century and they worked for Project Centurion. The main adversary was an evil villain called Doc Terror, who lived up to his name. With the Centurions came a chance to draw lots of high tech assault weapons systems. It was probably one of the last British drawn comics to feature fight scenes, albeit typical comic book violence being on display only. 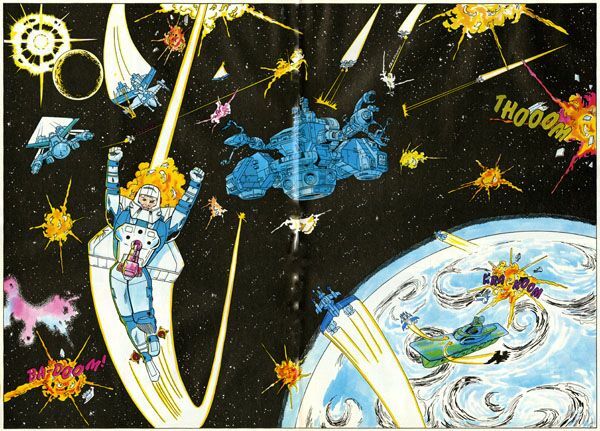 The Centurions each had a role to play in the fight against Doc terror; Ace utilised all manner of flying assault weapons, whilst Jake used land based assault weapons, and Max was the underwater expert. Crystal was the computer whizz-kid and passed on all the information gathered for her on Skyvault. It was a kind of Thunderbirds (without much rescuing) and Action Man scenario. "The neat thing about working on licenced characters at first like these was you had an excuse to buy the toys for reference." "The Fight of the Century" from issue #6 (Tim's first Centurions strip). "Time Trap" from issue #8.